We received the following press release yesterday from Foto Distributors (the official distributors for Nikon in South Africa). I decided not to post it right after receiving it; concerned that it may perhaps send out the wrong message, even though it is done with good intentions. I have however decided to share my views on the topic and would appreciate your feedback. To summarize the press release (and please keep in mind that this only takes one side of the story into account), Foto Distributors took Digital World (an online retailer based in Nelspruit) to court over the fact that they were importing and selling “Grey Goods”. Before I continue, let me define what “Grey Goods” are. They are products that are imported and sourced from channels other than the authorised distributor which – in the case of Nikon – would be Foto Distributors. The Consumer Protection Act requires that a retailer selling such products needs to inform the consumer that the product is a “Grey Import” and as such, does not come with a warranty from the local, authorised distributor. In fact, by law, the local distributor has no obligation towards that product at all. While this press release does hint towards a victory for the greater number of consumers (especially for those buying entry level products every few years, when the old camera breaks, or needs an upgrade), it does strike me more as a warning shot across the bow to other retailers out there who are doing Grey Importing; particularly those who are not doing so within the legal frame work given by the CPA. All of this begs the question: how does it benefit those who are more serious photography enthusiasts, where our cameras are either a part of our very costly hobby, or even the tools of our profession? Another question to be asked is why retailers may feel the need to import grey products over purchasing through the local agents? Let us look at the retailer’s side first. Over a decade ago, when film cameras still demanded shelf space and surfing the web was a costly and slow affair, competition was less global and profit margins were hallowed ground. This is not to say that consumers were being ripped off – though there may very well have been some retailers who pushed more for margin than others – but it was generally acceptable to make a mark-up that allowed you to cover your overheads and warrant a space in a shopping mall. You could justify employing more knowledgeable staff, even if they cost a bit more, so that the customer was well serviced. Even back then, Grey Products where still finding their way into the country, but more often than not, retailers took the price from the distributor and marked it up by a percentage (a low double digit) and put it on the shelf. As the global marketplace has become more accessible, retailers have found themselves increasingly competing with products from abroad. In order to compete, margins have shrunk. It is not uncommon on highly competitive items (like middle- to top-end DSLR cameras, or lenses) to hear of retailers making low single digit percentage mark-ups. Increasingly, even entry level items are getting less than 10% mark-ups and cameras have become as ruthless as computers; where profits can only be made on high sales volumes. In such circumstances, some retailers have found that they can bring in products from other parts of the world (grey goods) and sell them for more reasonable margins, whilst still being relatively competitive. While I do not excuse retailers for not keeping to the law and informing consumers that a camera is a grey import, I do also think that such behaviour – if done within the law – should not be frowned upon if it keeps the store open and staff employed. There will be winners and losers on both sides of either scenario. What about you and I – the photographer, or serious enthusiast in all of this? What do we win, or lose? We have already noted that with a grey product, we lose on a local warranty, but what if we are saving money by buying grey? It is a sore point for many photographers that middle- to top-end cameras that are sold locally in South Africa can cost as much as 40-45% (in some cases) more here, than abroad. On a high-ticket item such as the Nikon D800, one can easily pay for shipping and numerous accessories at a similar price in buying abroad, as what would be charged locally. This was highlighted again by one of our readers on our Facebook Page. As retail becomes an increasingly global affair, retailers and distributors are going to suffer if the consumer wants to gain greater savings. These saving can be more easily achieved by shortening the distribution/supply chain but that will negatively impact after sales support when the local repair centres have to shut shop unless they are funded from abroad. I am still left with mixed feelings about the press release below. I think that it is commendable that Foto Distributors fights for consumers who have been taken by surprise when sold grey imported products unknowingly; thus having no warranty when things went wrong. I am just not sure that it is as grand a victory as it may be made out to be to consumer’s pockets. Only time will tell. wins landmark case against grey goods importer. A victory for consumers and end users in terms of the Consumer Protection Act. South Africa, Johannesburg, 15 February 2012 – Foto Distributors (Pty) Ltd, the sole distributor of Nikon products in South Africa and Sub-Saharan Africa, recently brought a case in the North Gauteng High Court against Digital World, an online digital goods supplier based in Nelspruit, which had been involved in the importing and sale of “grey goods”. Section 25 of the Consumer Protection Act (CPA) 68 of 2008 stipulates that suppliers must disclose to consumers when goods are grey imports, because generally these goods don’t enjoy the same warranties or after-sales back-up offered by the official South African distributors. This disclosure is known as a “conspicuous notice”. Suppliers who fail to comply can receive a fine of R 1,000,000.00 or 10% of the supplier’s turnover (whichever is higher). Digital World had been importing Nikon products from alternative sources and was distributing these products to consumers without providing the required conspicuous notice. 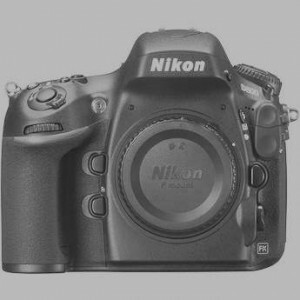 In the order, given on 1 February 2012, the court instructed Digital World to apply said notice to all grey goods that bear the Trade Mark “Nikon”. This notice would need to clearly state that the products had been imported without the approval or licence of the registered owner of the Nikon trade mark and that no guarantee and warranty of the products would be honoured by the official distributor in South Africa (Foto Distributors). According to the ruling, in terms of online retailers, the conspicuous notice has to in future appear on their website attached to each product to which it applies, as well as on the actual product packaging or in the event of a retail store clear signage next to each product. “Grey-product importing has a negative impact on our country’s economy, as well as on job creation in South Africa. This is a potential victory for all official distributors and consumers against grey imported goods,” said Stefan van der Walt, CEO of Foto Distributors. “This is the first case of its kind won by a distributor in South Africa. It should have consequences for anyone attempting to sell grey products in this country, as it proves that the courts are not reluctant to act against non-compliance in terms of the CPA,” van der Walt said. In Nikon’s case, consumers will be able to make more informed decisions when buying photographic equipment, in the knowledge that grey photographic goods do not carry local warranties, firmware updates, access to repairs, free training or any other value added services. They will be protected against exploitation by grey-goods importers and be able to enjoy all the benefits offered by Nikon in South Africa.